Two similar boxes, right? A green and a blue one. 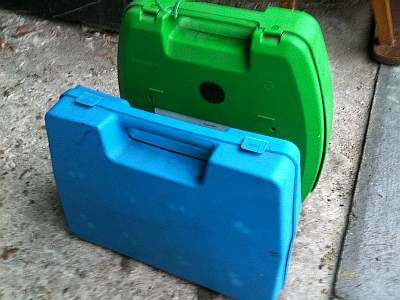 For two winters, I have been driving around with the blue box in my trunk, thinking it contained snow chains. Until today, I found the green box on the shelf in my garage. 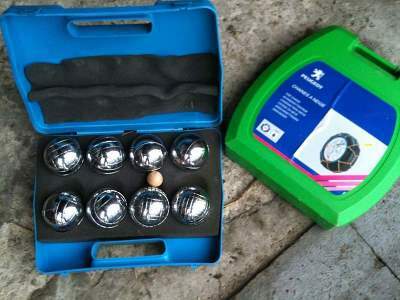 So apparently, for two winters, I have been driving around with a "jeu de boules" in the back of my car.